Why I would want every Android Smartphone lover to have a Asus Zenfone 2? There are many reasons, one of them is off course, the Zenfone 2 comes with awesome specs and a massive 4GB RAM at a cheap price. 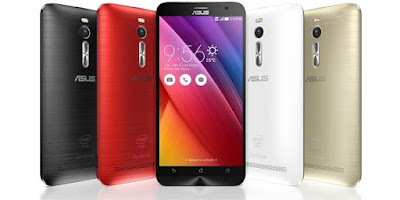 Asus Zenfone 2 launched its two variants, ZE550ML and ZE551ML, in the Indian markets towards end of April 2015 and it was available only through online store Filpkart. Asus Zenfone 2 marks an unique combination of Intel processor and latest Android operating systems. 4GB RAM variant is available at the price of Rs. 12,999 while the 2GB RAM variant is available for Rs. 11,999. Both the devices have an awesome, elegant look which when combined with a graceful ergonomic design gives the phone its luxurious sleek look. It is this marvelous unique design which makes it very comfortable to hold. The device is 10.9 mm in thickness however it tapers towards its edges which makes it only 3.9 mm towards the edges. The device has an unique ultra narrow bezel towards its display which provides a maximized view of the screen to the users. Both, ZE550ML and ZE551ML, touts a 13 MP rear camera that is accompanied with LED flash, in addition there is a 5MP front camera. In terms of connectivity the smartphone has the provision for 4G LTE as well as 3G HSPA. Other modes of connectivity such as WiFi, Bluetooth are also available. The device has an enormous battery of 3000mAh battery which can support for long uninterrupted hours. It sports a 5.50 inch 720 x 1280p display which is powered by 1.8 GHz Quad core Intel Atom Z3560 with PowerVR G6430 GPU. The display screen is accompanied with Corning gorilla glass 3 protection. Besides it also has a 2GB RAM. In terms of storage the device has an inbuilt memory of 16 GB which can be further expanded to 64 GB. What's more, ZE550ML is a dual SIM smartphone which comes with the latest Android Lollipop 5.0 version. It is a light weight smartphone which weighs only 155 grams. This handset has 5.5 inch with 1920x1080 p display and it too has been accompanied with Corning gorilla glass 3 protection. Asus Zenfone 2 ZE551ML is further available in two variants one, with 2GB and the other with 4 GB. The device is powered with 1.8 GHz Quad core Intel Atom Z3560 / 2.3 GHz Quad core Intel Atom Z3580 processors with PowerVRG6430 GPU. In terms of storage the ZE551ML is available in 3 variants: 16GB/32GB/64GB and all these variants can be expanded to 64 GB. Asus Zenfone ZE551ML too has been provided with Android Lollipop 5.0 version and weighs only 170 grams. Asus Zenfone 2 variants have also been provided with the brand new operating platform known as Asus ZenUI for a more personalized experience. This technology provides a lot more widgets which makes life of user much easier. It has various features which help user organize their Emails, data and various other apps in a better way. Buyers can also opt for the Flip cover Delux protection cover case which will give an added protection to the smartphone and in addition it also has a window which displays the essential information such as time, incoming calls and new messages even without opening the cover case. Well with the stunning designs, various lock systems, excellent processor and robust battery, latest OS, gigantic RAM: it is essential to let our readers know that Asus first introduced the 4GB version of RAM in India. Among other features Asus sends system updates to its users via settings and users can update their software without even connecting to internet. Asus gives its users to opt to customized mode if they want it. Asus also has made provision to connect the smartphone to any external device using USB ports via OTG cables. The handset can be given more personalized look with various accessories, the back cover can be changed and also the Delux cover. Camera with various modes including the Real flash tone, Dual SIM cards. I think for almost Rs 13000 one can really enjoy a luxurious smartphone with all the above features, so do we still need to think!! Nice and good one dear. You are doing a great job.